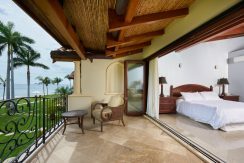 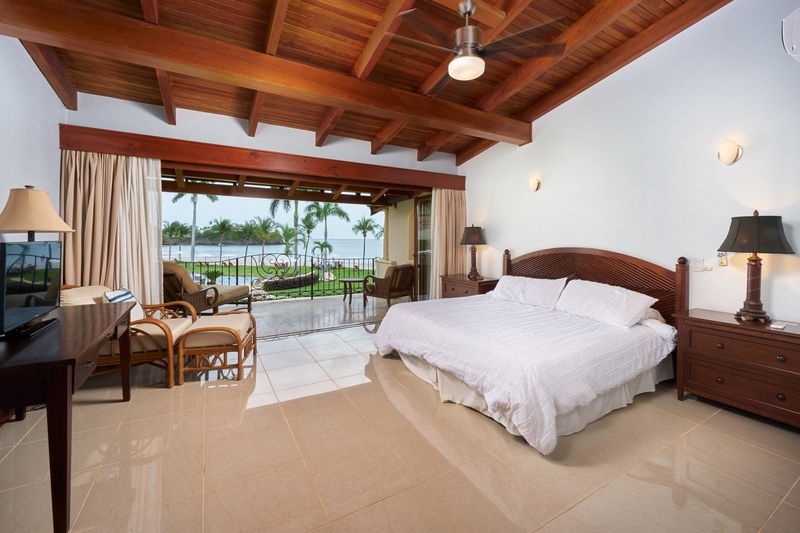 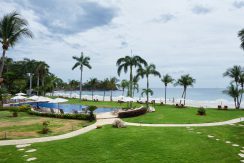 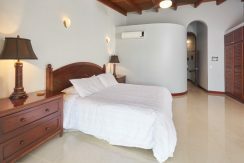 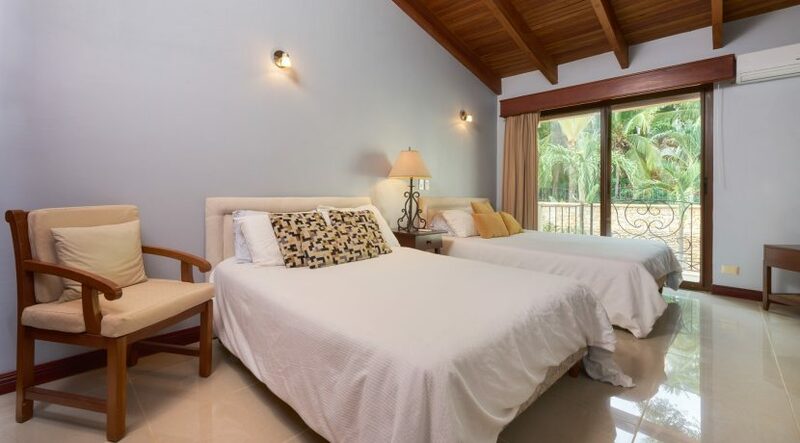 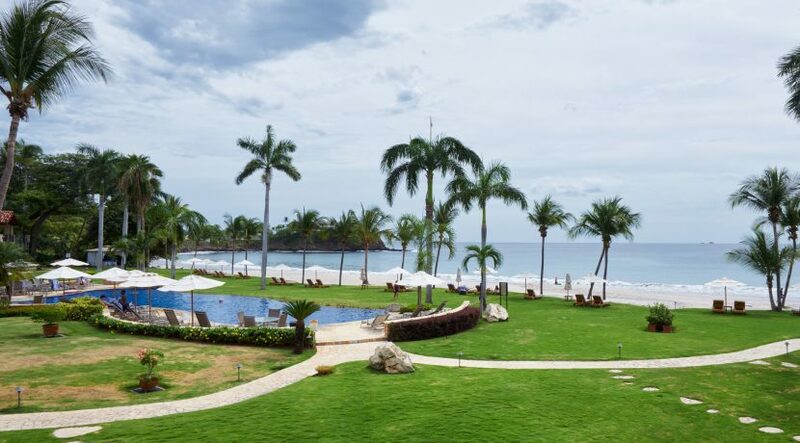 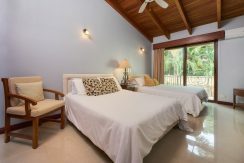 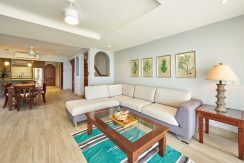 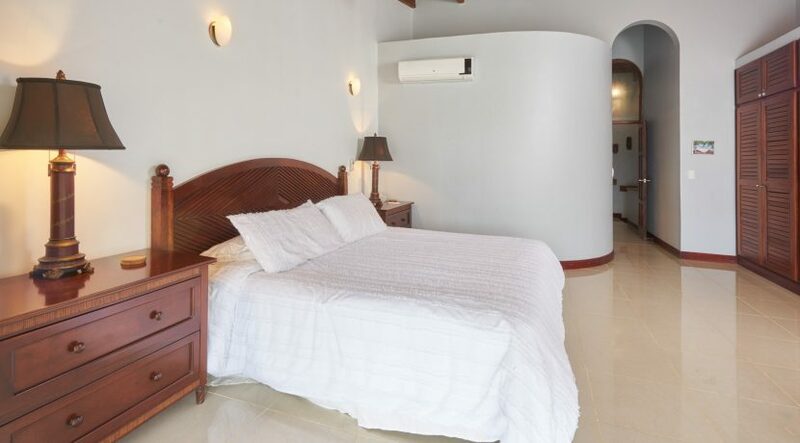 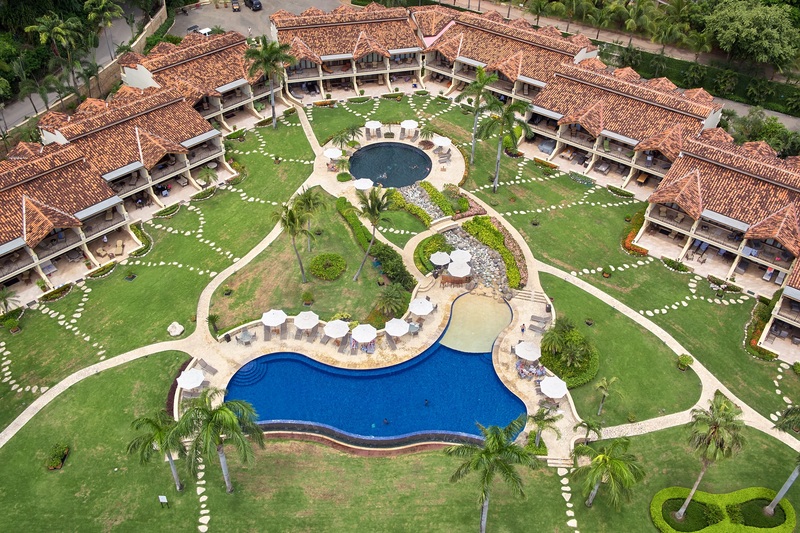 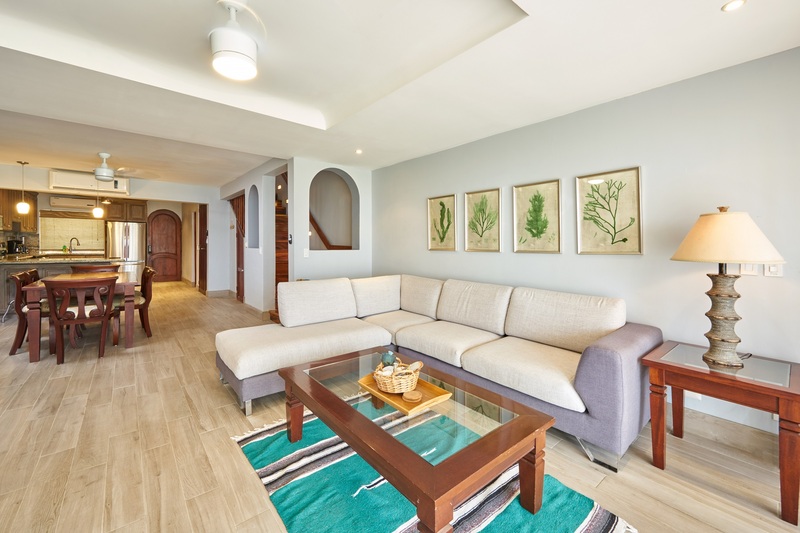 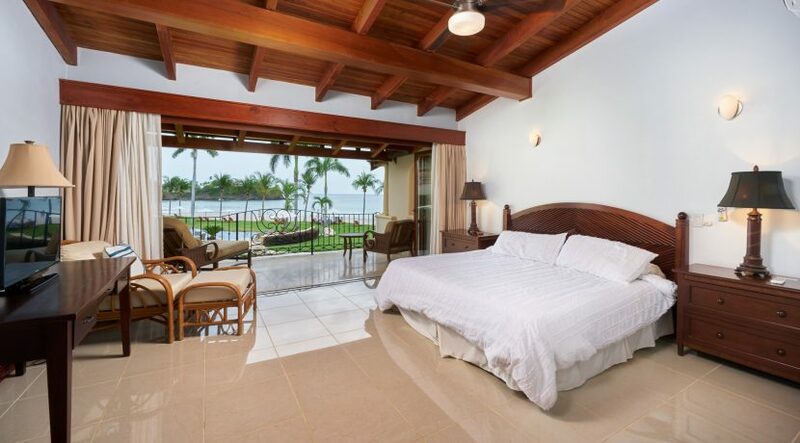 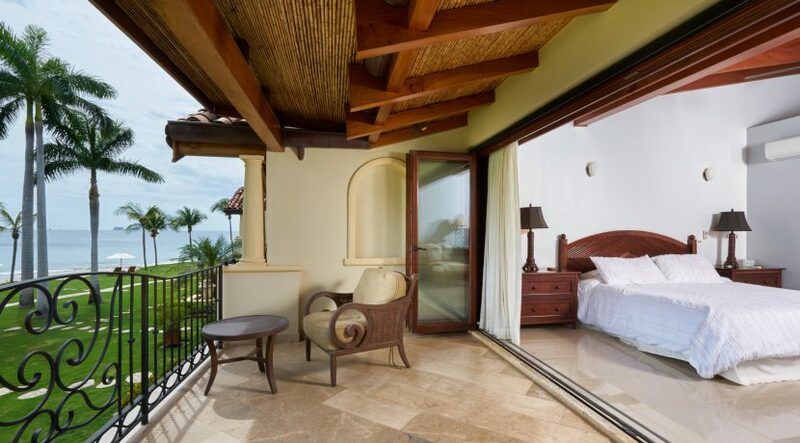 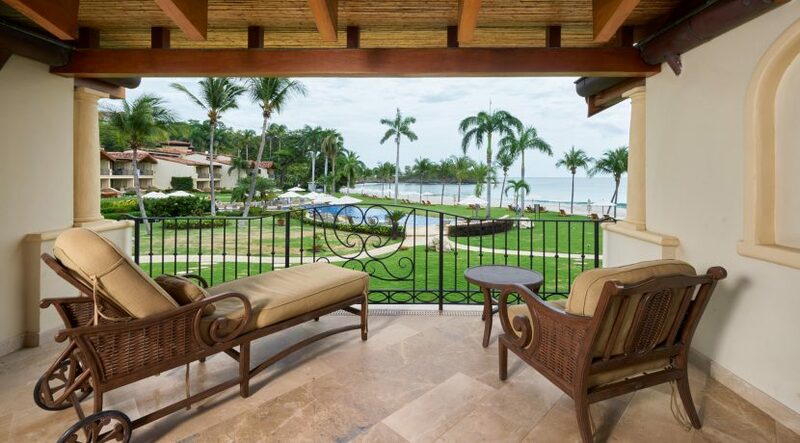 Villa de la Playa is a spacious two-bedroom ocean front condominium set on a rare white sand beach! 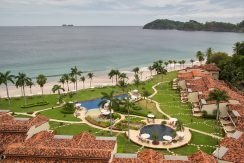 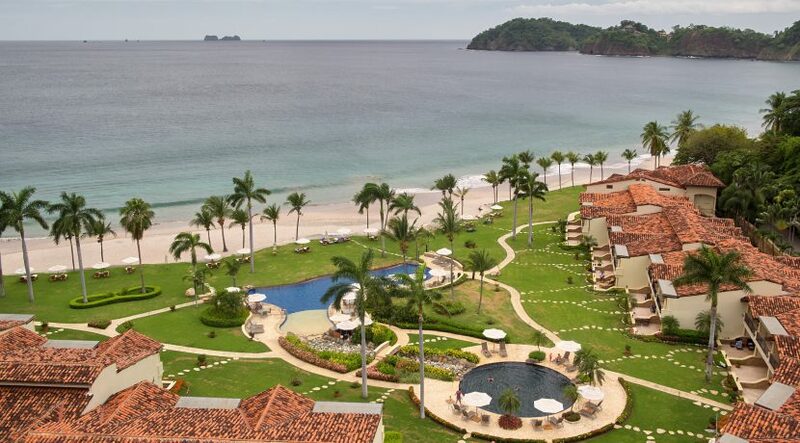 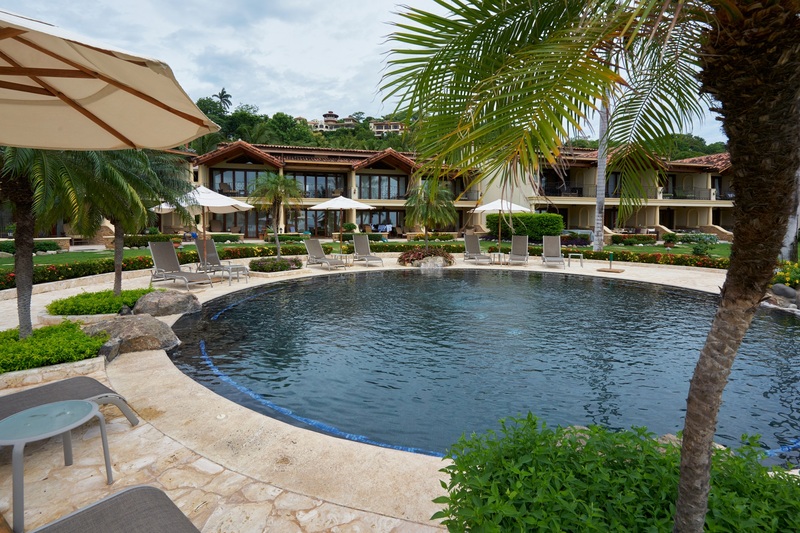 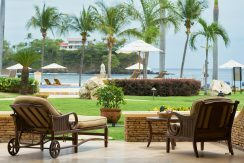 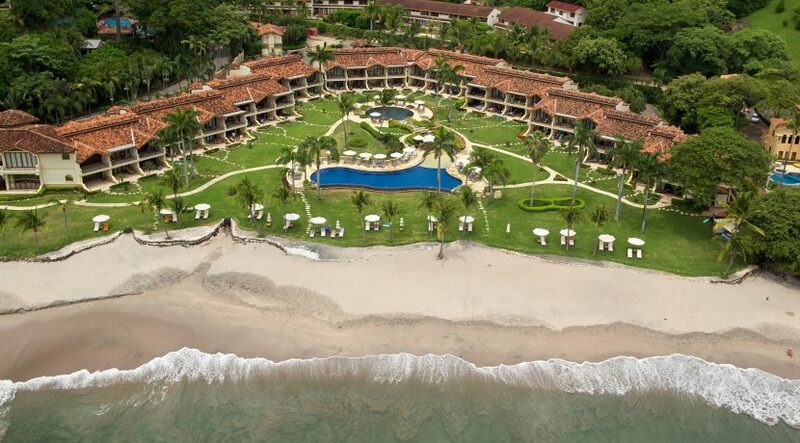 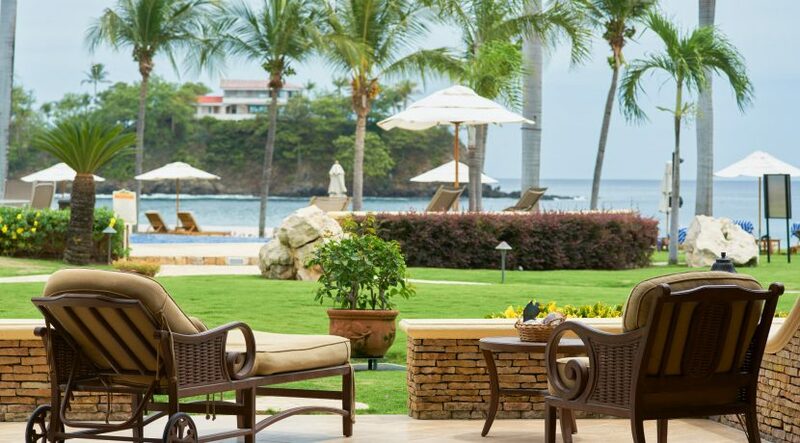 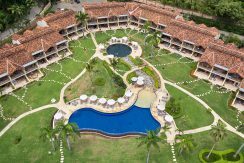 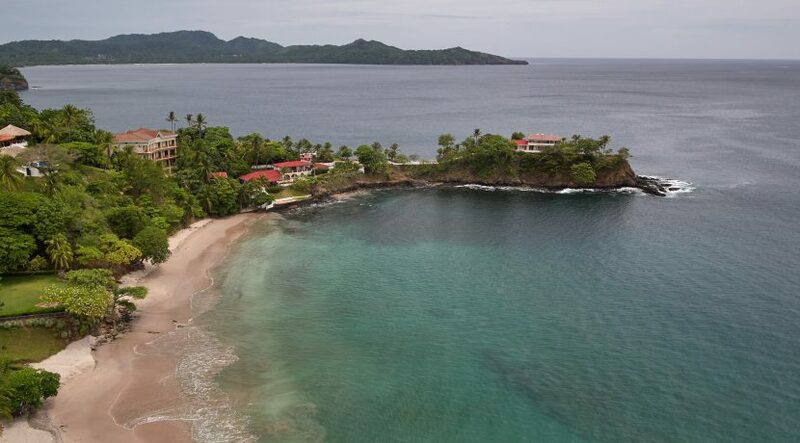 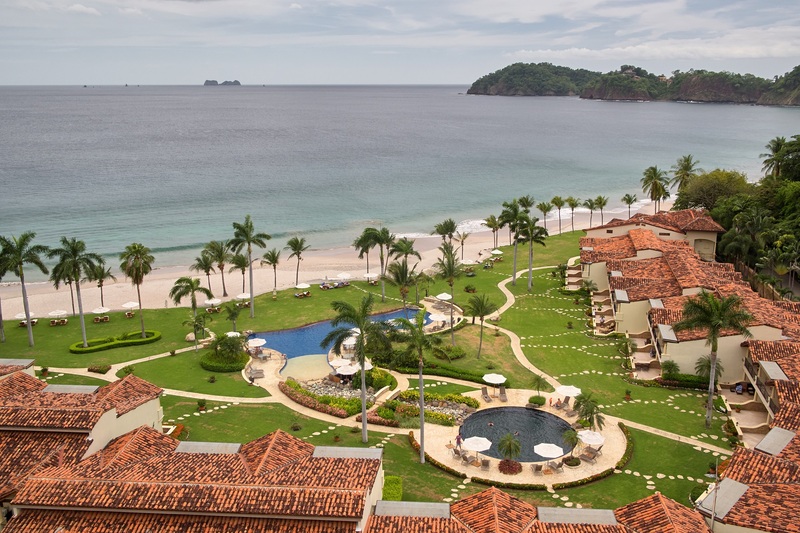 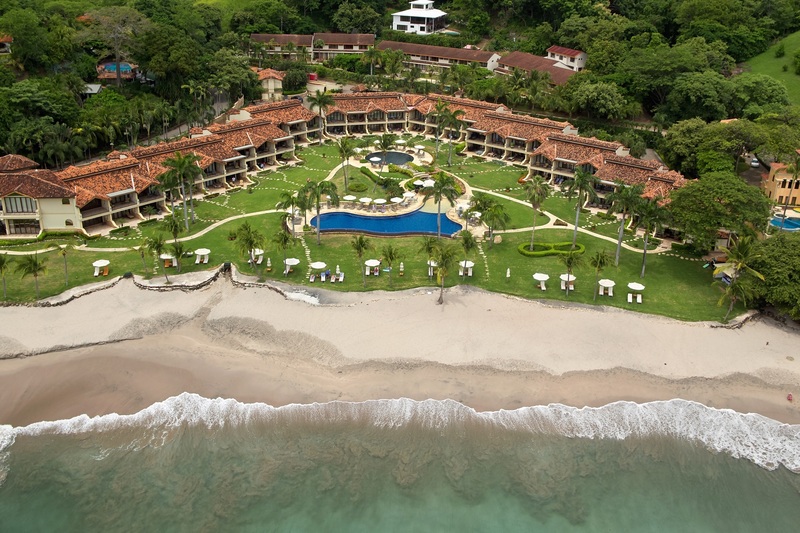 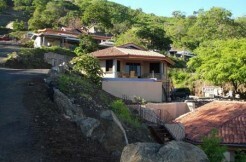 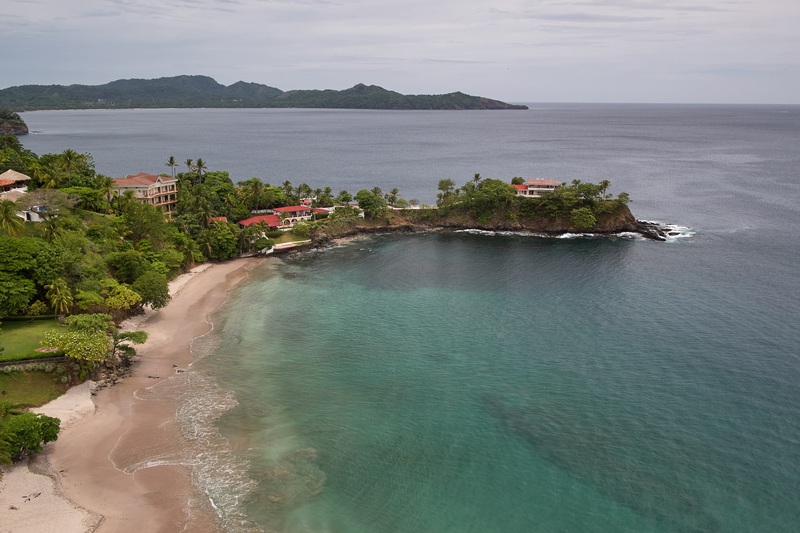 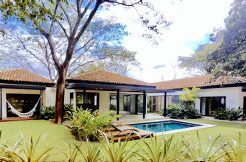 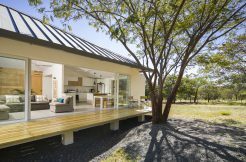 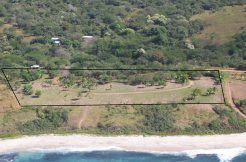 There are so few titled beach front properties in Costa Rica and so few white sand beaches on the Pacific side that when the two come together not much can compare. 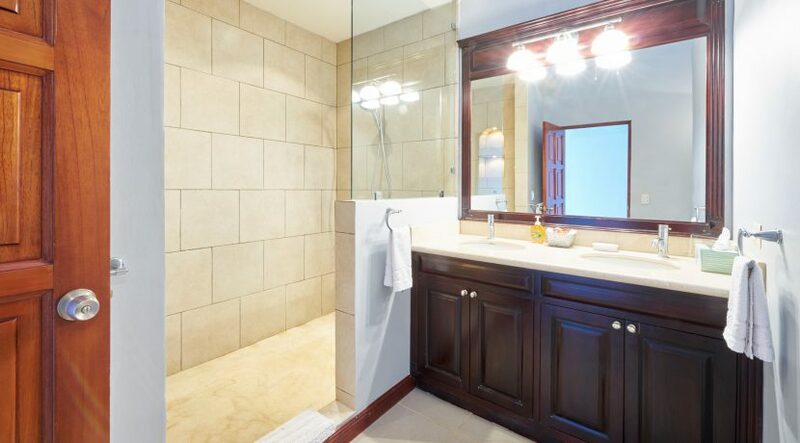 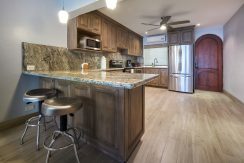 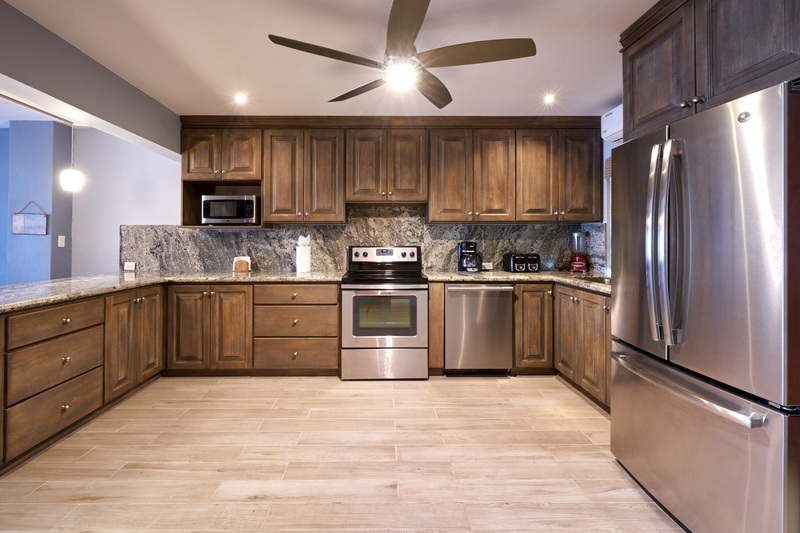 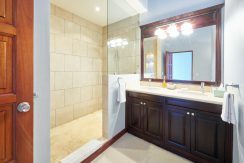 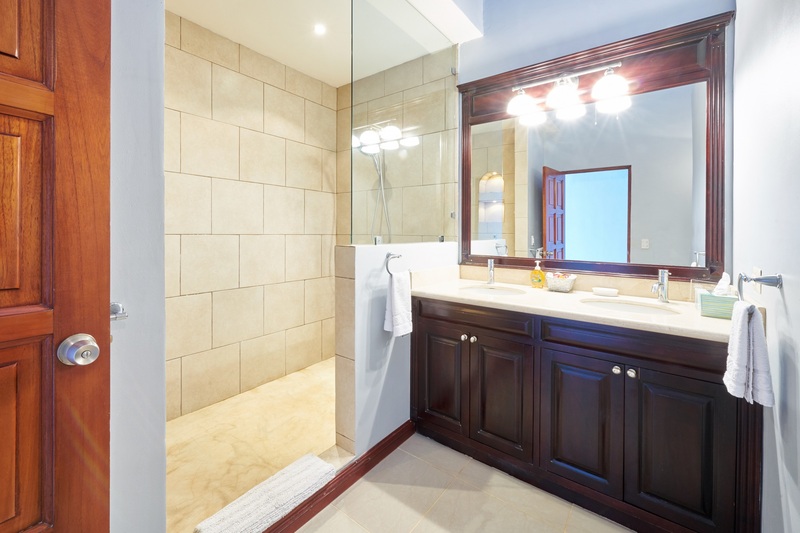 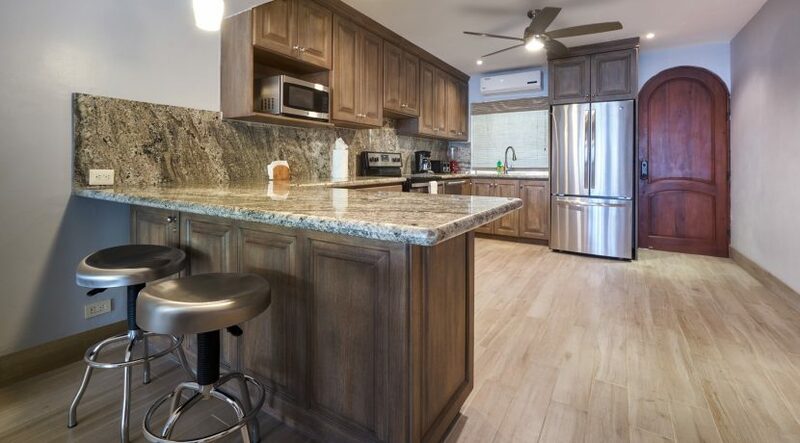 This condominium was just remodeled and shows like new and is offered turn key with beautiful furnishings, decorations, kitchenware bedding etc. 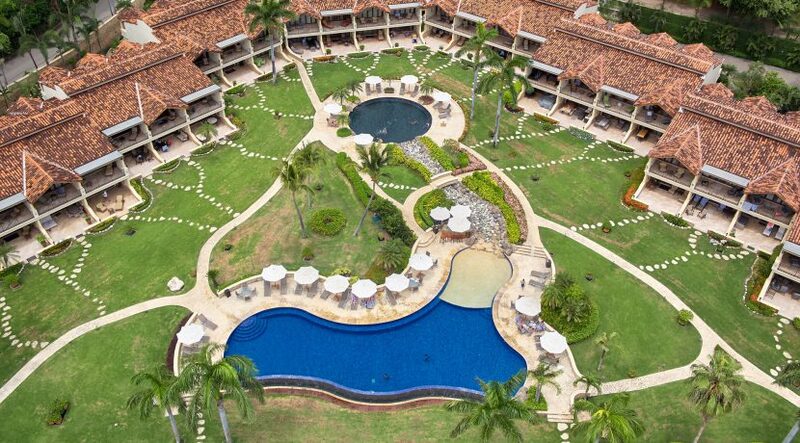 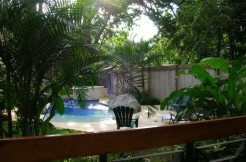 You will meander through lush tropical gardens to an inviting welcome. 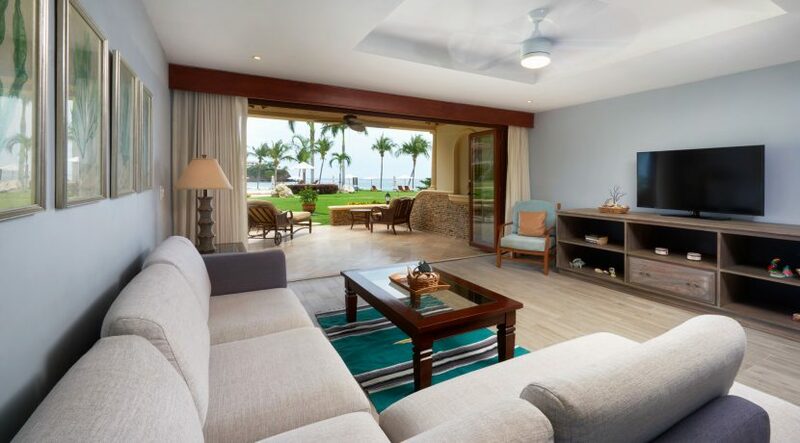 The Palms in Playa Flamingo is an extraordinary development offering two swimming pools, a gym, business office, wireless internet, Global Vonage Phone Service, restaurant, great security and best of all, breathtaking ocean views of Playa Flamingo! 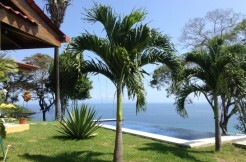 Imagine having your morning coffee (or herbal tea!) 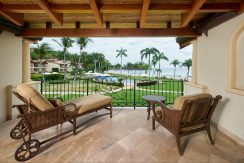 on your private patio or upstairs balcony and being called by nature for your morning walk or open water swim in this well protected and inviting bay. Villa del Playa is well located with excellent nearby restaurants and services in the area and after many years of planning the new marina is expected to begin construction within the next 12 months. 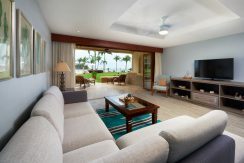 Additionally, the marina is expected to have a very positive economic impact on the Playa Flamingo and surrounding area! 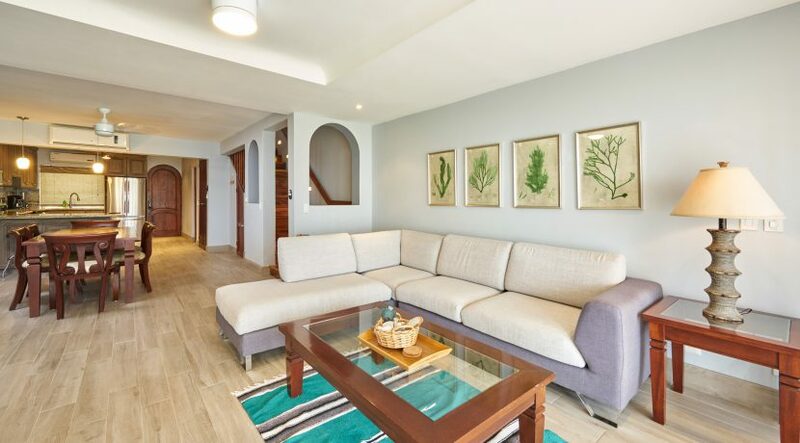 For the investment minded Villa del Playa is one of the highest income producing properties within The Palms Development and given the upward trend in tourism the financial future for these villas looks to be very strong. 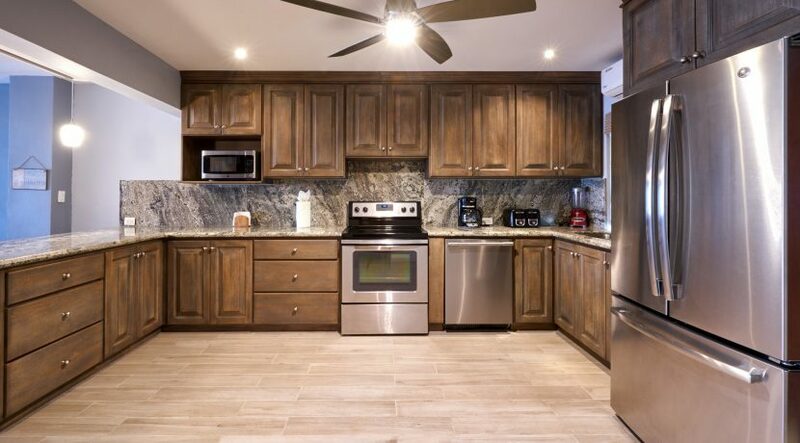 Most of all, this is a place you will want to call home and perhaps keep in your family for generations! 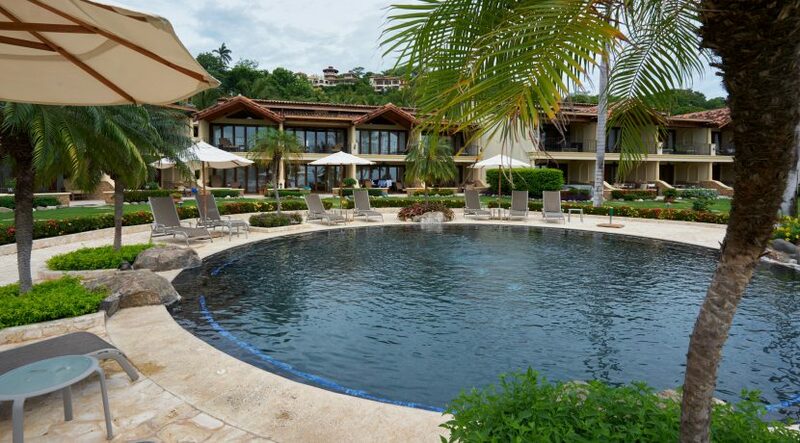 Come and take in this experience and your search will be over!